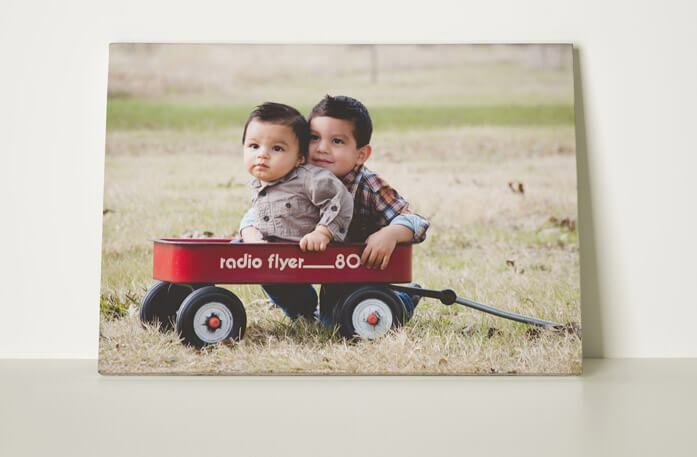 What We Offer with Custom Canvas Prints? 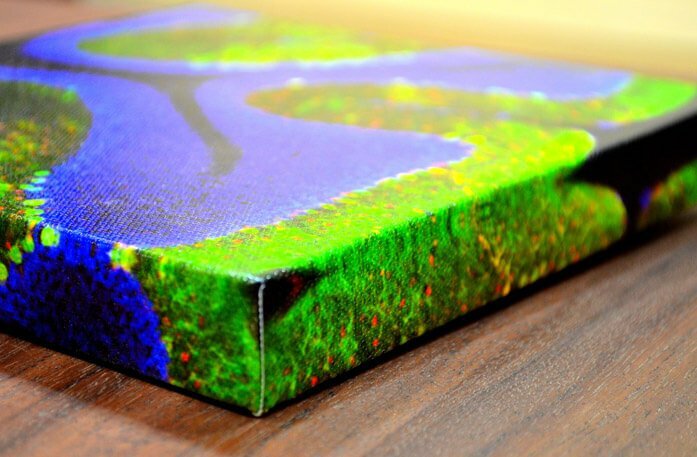 Receive the neatly packed, hand-made customized canvas at your door-step anywhere in India. A picture is incomplete till you find the perfect frame for it. CanvasChamp in India provides options between rolled canvas, single panel and split canvas prints, whichever suits your style, to create a truly remarkable memory! Rolled Canvas is in the form of a stretchable tube which comes with an ease to expand so you can display it in different ways. Single Panel Canvas is the most unadulterated & conventional form of Canvas Prints. The photo is printed on a single flat panel of high quality wood. 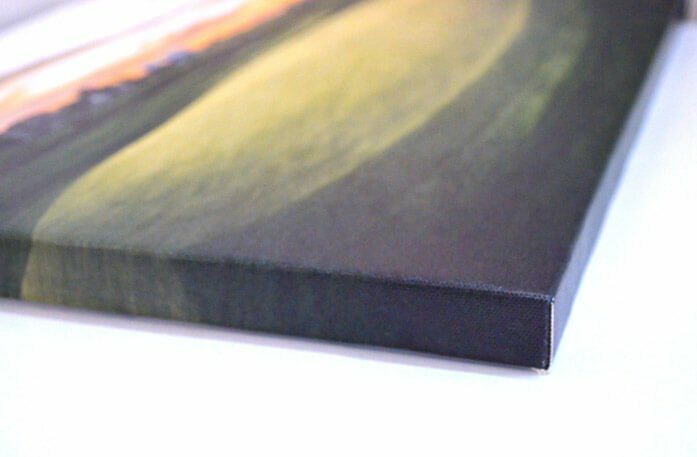 Browse options for Single Panel Canvas Printing. Split Canvas Prints is basically split the canvases that allows to transform an ordinary picture into blocks of art, the image will be Split in three different panels making your photo look like a trendy & artsy split image. 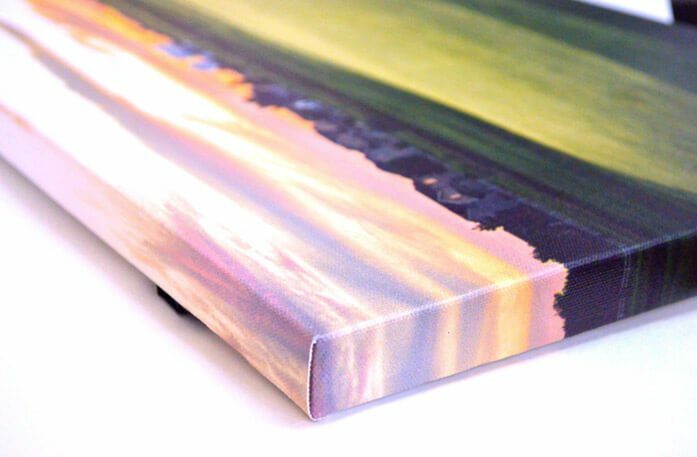 Check out more Split Canvas Printing options. Right fit for your wall. Have your own framing ideas? Our rolled canvas prints are the perfect option for you. They are an affordable options with high quality prints for those who are looking to do the framing themselves. Choose the desired size and place an order today. Frame your favourite moment on a single panel canvas to create a unique, powerful frame. Tell us how you want your printed image and we will provide you with a hand stretched canvas print of high picture quality. 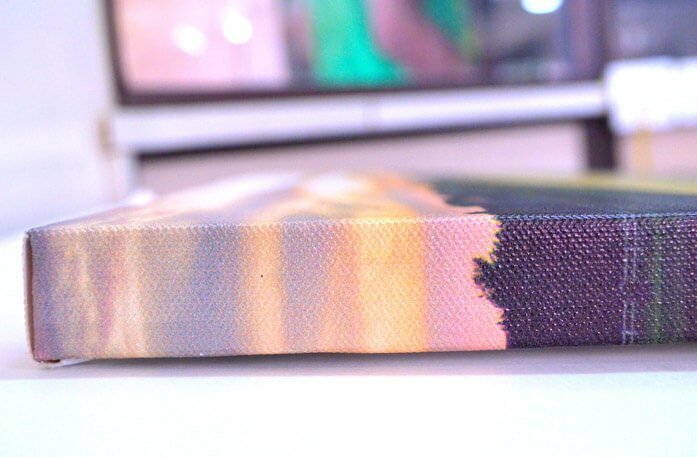 Give a unique twist to your canvas and transform a picture into Art. Our Split canvas will splits a single photo across three panels to create a dramatic effect in any room. A modern art display, the split canvases will change a plain wall into the work of art. Order your art today! You can personalize the way you feel in your own room by opting to print with us. 100% of our customers who gifted a Canvas to their friends were happy with the way the gifts were received by their friends. 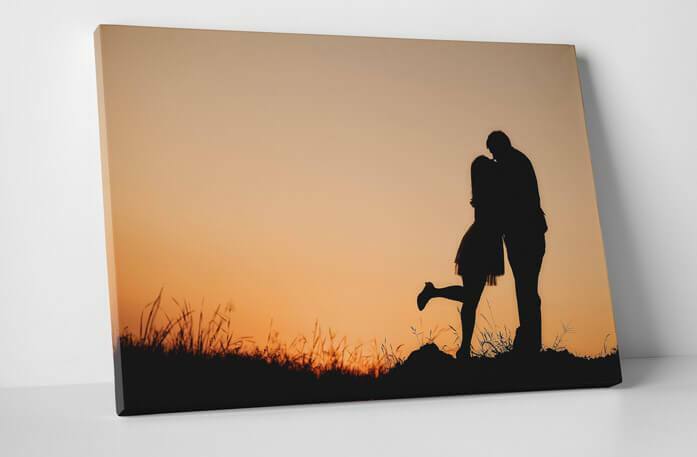 Canvas Prints are the best gift for any occasion and at CanvasChamp, we take utmost care in making the special day memorable for your friend. Rekindle your relations with the power of gifting. Remember how intensely our parents & grandparents still talk about the age when people used to gift memories to each other in the form of exchanging letters. The same feel in the new age could be relived using Photos on Canvas. We help you make gifting as personalized as it could be. Not just paint, but plant living memories on walls - May it be your home or office! Behold, the Canvas Prints, an innovation that allows you to decorate your home with photos of your memories or images that just help instilling that “feel-good” factor in you. Canvas Prints involve roll canvas material on which the photo of your choice is printed and put up on your walls. These Canvases can be of mounted type as well, which are available without the need to be stuck to a wall. Latest advances in technology help in designing 3D Canvas Printing using a focus light technology. Get ready to get lost in the memory maze that will be your home! Let lose your creative juices into customizing your own Canvas Prints Online with the range of options available with us. Upload your photos and unfurl for yourself the greatest Canvas experience that you can gift to yourself or your loved ones. Buy best high quality canvas prints here. There are other premium quality canvas printing options customized as per size and quality which range from 8"x8" to 54”x54”. We provide customizable options and diverse varieties when it comes to Canvas Prints, owing to the amount of solidarity the prints give by uniting you with a particular moment in time. Our customizable options include a choice where Prints can be framed and hung on walls, instead of being plastered onto them. We offer a wide range of stylish and customizable frames which allow you to choose the perfect make and look for the photo of your choice. These frames can then be mounted and placed anywhere you like. We also provide custom-made stretcher mounts, which allow your preferred photo to be immortalized in a 3D fashion and polished to viewing perfection. If you want to go for a bold effect, then a black frame will display your image in the best way. This frame design will give your image the soft reflected glow seen in museum paintings and art masterpieces. 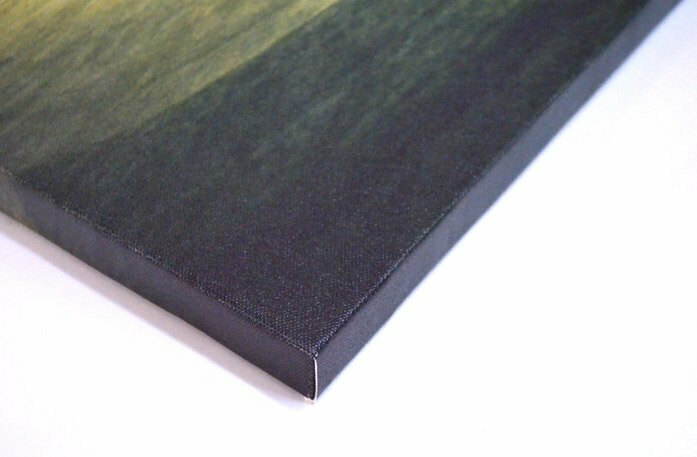 0.75" or 1.5" (depending on the thickness selected) is copied and extended on the edges to wrap around the frame. Select this option if you have any important details on the edges that you do not want to loose. 0.75" or 1.5" ( depending on the thickness selected ) of the image is extended. The classic look. May crop some of your image in the wrap. Select this option if you want to go for the classic look and do not have any important details on the edges. The wrap is printed with the solid color that you choose from the palette. Select this option when you want the edges to be in sync with the color on the walls. The amount of options that a customer has with regards to the photo which he/she wants to use for the Canvas Printing is literally boundless. Customers can choose from digital artworks that are found on the Internet, or they can choose from their personal collection of photographic memories which can then be printed onto Canvas Prints of any size. In terms of customizable options, you have the choice of choosing any frame of your choice, along with the option of using focus light in order to convert the photo of your choice into a 3D experience. You also have the choice to customize your Canvas Prints Online in such a way that there are more than one images within the framed area, thus allowing for the creation of a collage. There are several filter options that you can choose from as well, such as having sepia, gray scale, perpetua, sierra, Nashville and many more, which can help you in giving that extra hue to make your photo come alive in a way that you had never thought possible. Want to go in with the original effect of the image? Then choose this image specification. Wish for a stylish, classic image with a brown hue? Then sepia is the option you should choose. Want your picture to be printed in different shades of gray for a spectacular result? Then opt for the gray scale. Want to go for an abstract pixel painting effect? Just choose the style you want! When one memory is too little to tell a story, make a wall full of stories with Canvas Wall Display. Turn a boring wall into a photo gallery and make your canvas a uniquely fascinating sight for guests. Make you Photos POP, from Warhol to a range of other EYE Popping effects.Create a masterpiece of your own. A home decor idea with a twist - Create a canvas photo mosaic from CanvasChamp. Be it your wedding pictures, precious moments with your family or a collection of happy moments with friends, create a mosaic out of them in neatly arranged in a layout. We offer complete customization for mosaic with canvas framing or a quality wooden frame.